Calvin Hemery is probably not recognizable name to you. He is a professional tennis player from France. At the moment he is ranked on 205th place. He is not in top 100 ATP list, but he is young, only 22 years old. But what makes him different is his lifestyle. He is one of the few ATP players that are vegan. Calvin Hemery is animal defender and vegan, at least that what his Instagram says. He is one of the few vegan tennis players. Sisters Williams are dominating woman tennis, and they are both vegans. Djokovic is also on some vegan diet. He claims to be vegan with fish here and there. And Calvin Hemery is 100% vegan. Hemery debuted on ATP in 2015 Swiss Open at Gstaad. He qualified for the main draw but unfortunately lost in first round against Du?an Lajovi?. In 2013 he was second at Futures Event. But in 2015 he managed to take a Futures Title in Italy. Will vegan diet help Calvin to beat big players? There is a huge debate going on over the forums because recently Federer gave an interview and promoted Carnism. He says that meat is the food that gives him power. Federer was vegan until 16 years old, and most probably he was hit by a hard puberty. Too bad, because who knows where would this talented tennis player be if he stayed vegan. He would probably set records that nobody would break for decades. And today we see Novak Djokovic is on the right path, he is testing vegan diet, and once he finds out that his body will recover faster and have more energy and endurance, he will stick to it. Because of that, I believe a bright future is ahead Djokovic and Federer’s records will be broken. 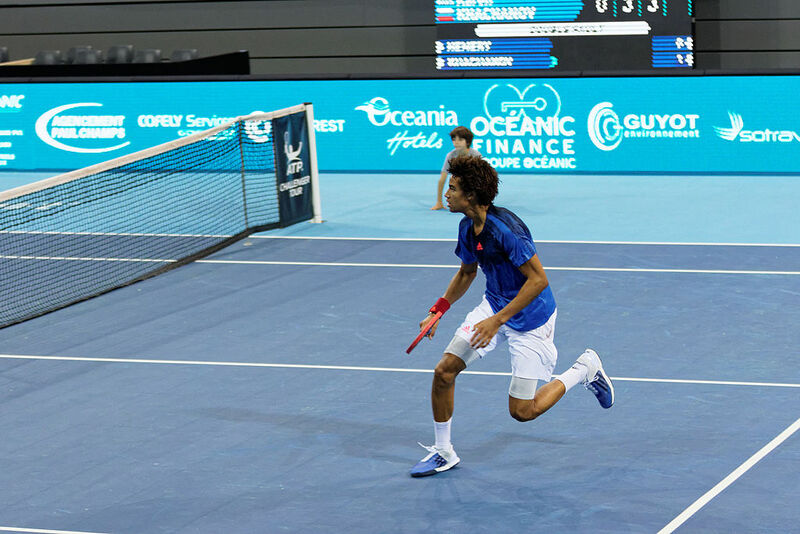 Calvin Hemery is a young talented tennis player; only diet is not enough to beat top 50 players who have more experience and more matches than him. But if he keeps on training and never gives up, even when life becomes hard I can see Calvin Hemery at the top fighting against another full vegan tennis player, Novak Djokovic. We will follow our vegan friend Calvin Emery on next matches and cheer for him. After all, he is an animal defender and not only he is fighting for himself, but he is also fighting for the truth, to prove that vegan tennis player can compete at highest level versus other tennis players that don’t consume vegan diet.